Maynard J. Toll, Jr. was born February 5, 1942 in Los Angeles, California. He attended public schools in Los Angeles, and then entered Phillips Academy in Andover, Massachusetts. Toll returned to California to attend Stanford University for his undergraduate years, then came back East to the School of Advanced International Studies at The Johns Hopkins University where he obtained his master’s degree and Ph.D. During his time at Johns Hopkins, Toll worked part-time as a speechwriter for Senator Joseph Tydings of Maryland. After completing his graduate work, he taught for three years at the University of Massachusetts at Boston. 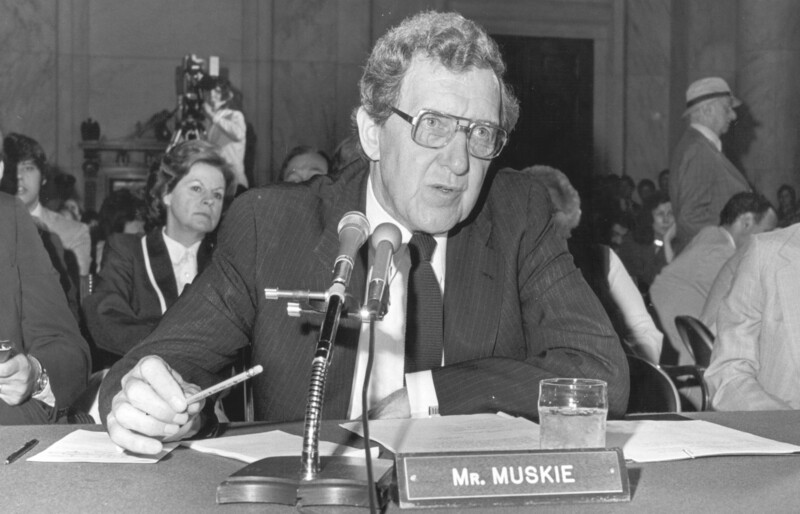 In 1971, Toll accepted a position on Senator Edmund S. Muskie’s staff, working as a legislative assistant on the Foreign Relation Committee. His wife worked on Jane Muskie’s staff during the presidential campaign. Toll later became Muskie’s Administrative Assistant, serving in that capacity for three years. Interview includes discussions of: family background; educational background; early interest in foreign relations; teaching at UMass Boston; political background; working for Ed Muskie; working with the Senate Foreign Relations Committee; Muskie’s foreign priorities; arms control; and Muskie’s relationship with Senator Javits. Nicoll, Don, "Toll, Maynard oral history interview" (2000). Edmund S. Muskie Oral History Collection. 386.